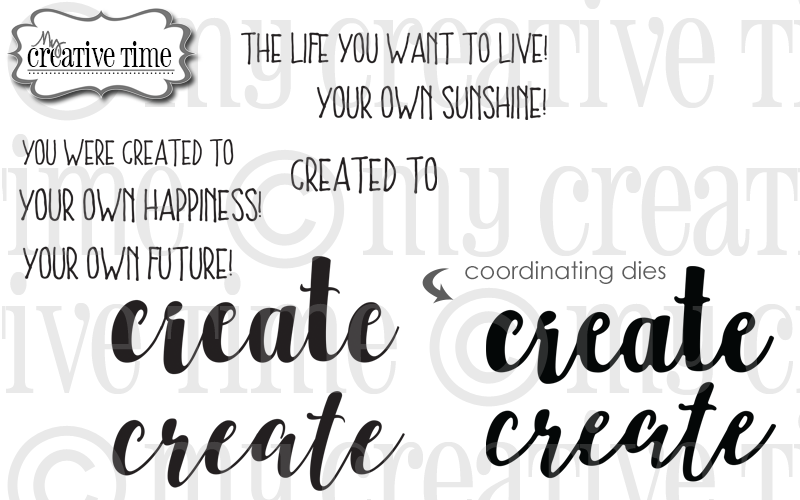 Today we are featuring another My Creative Time Favorite Stamp/Die of the Month! 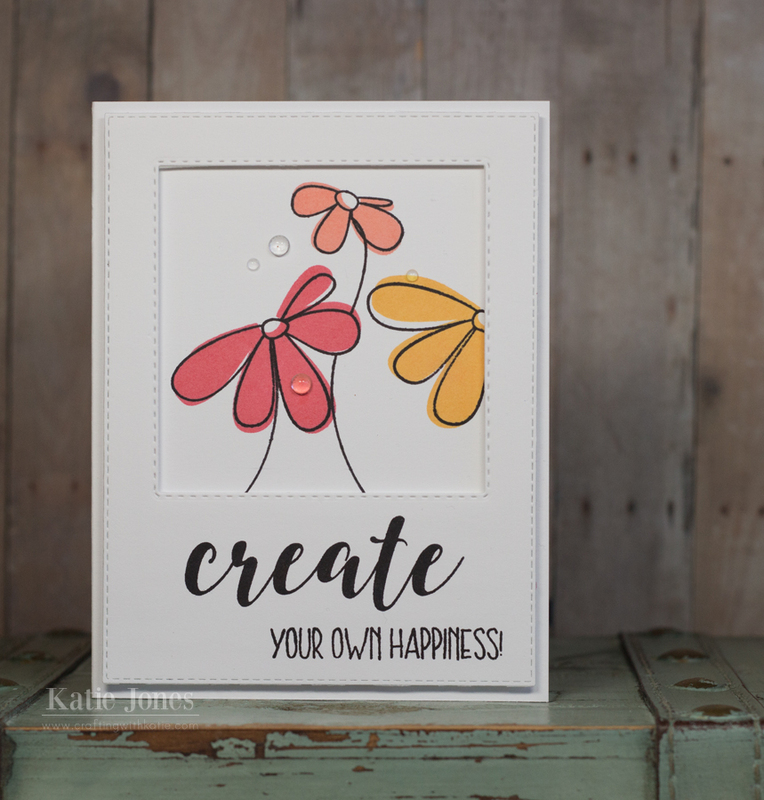 This month, it's the sweet Create set! If this set has been on your wish list, you can pick it up here at a discount price. It's on sale for the entire month of August! The sale ends on August 31, 2016, at 12:00 AM PST. For my card today I created a frame using the largest of the Stitched Rectangular Frame Dies and one of the Stitched Square Dies Inside & Out. On the frame I stamped my sentiment using stamps from Create. This set includes two large "create" stamps and dies, along with fun coordinating sentiments. On the card base I made some sweet little flowers using the Build a Pretty Flower stamp set and added a few Papertrey Ink Rainstones, before adding the framed piece, which I layered on top of an additional frame piece cut out of fun foam. Oh Miss Katie what a Super Sweet and beautiful card. Love the look of your flowers....outstanding stamping job!! Lovin' all the layers. YOU ROCK!! Such a lovely card. I absolutely love the colors and "clean" look to it. Awesome job! Such a wonderful inspirational card. I love the flowers and pretty rainstones. Clever way to make a frame...not sure I would have thought of that. What a wonderful card! I love the frame and all the perfect stitching! I so need to buy more frames from Emma. I just got the large rectangle set and it is wonderful. Have a great day! !